Basically, I loved this novel. When I started it I was in one of those Simon Cowell moods. You know, when everything you pick up makes you go, "BORRRRING. Next!" Or maybe that only happens to me. 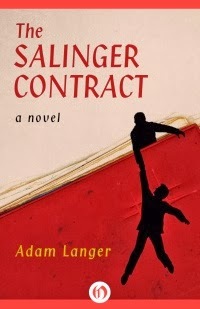 ANYWAY, The Salinger Contract managed to capture and hold my attention from page one despite my mood. It's fast-paced, unputdownable, and positively delightful, especially if you're a fan of olde-timey crime novels or film noir movies. Read the rest of the review at Truth, Beauty, Freedom, & Books.